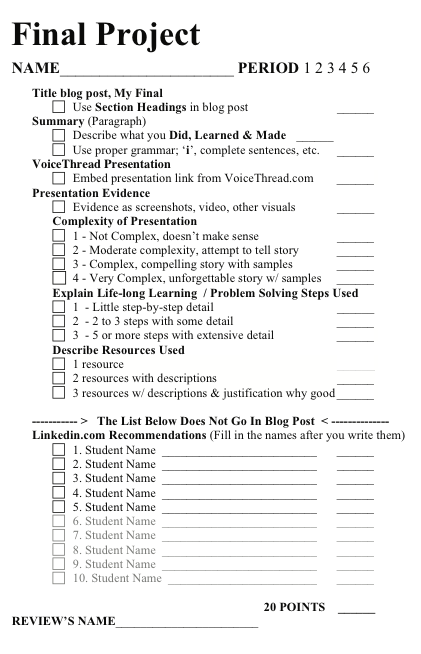 Below are the steps to complete your final blog post. EXAMPLES: They were creative, on task, collaborative, supportive, professional, easy to work with, etc. Set your Linkedin profile safe settings.